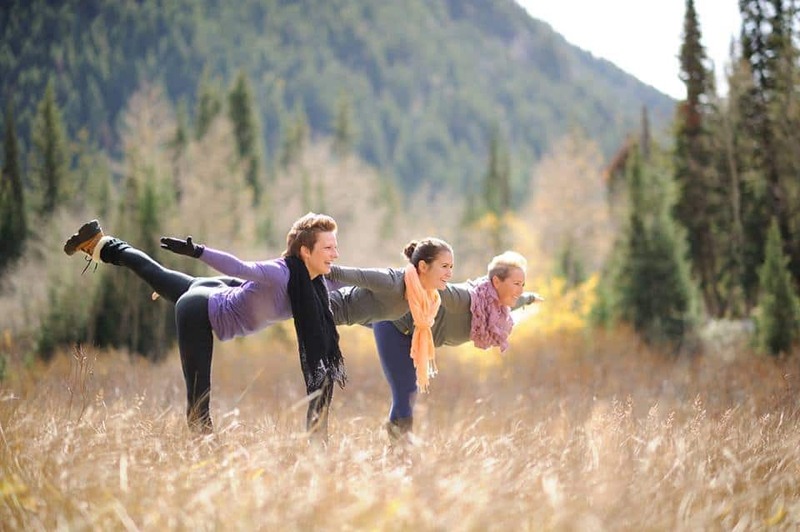 It's hard not to over- or under-pack. I've found that when I travel via car I over-pack. Then when I fly, I under-pack because I don't like feeling bogged down by my belongings. There has to be something in between, with a focus on essentials you might need, and wouldn't want to be stuck without. 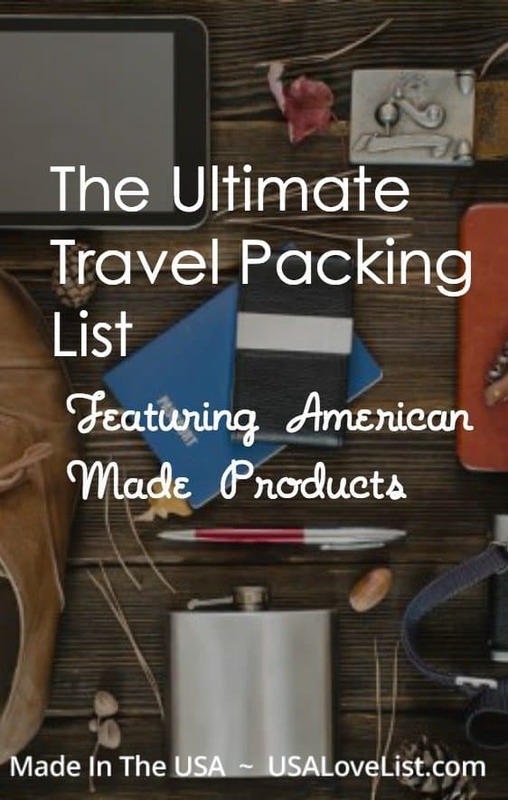 I've spent months thinking about this travel packing list and finding all American made traveling essentials that you'd need for any type of travel you might be doing. 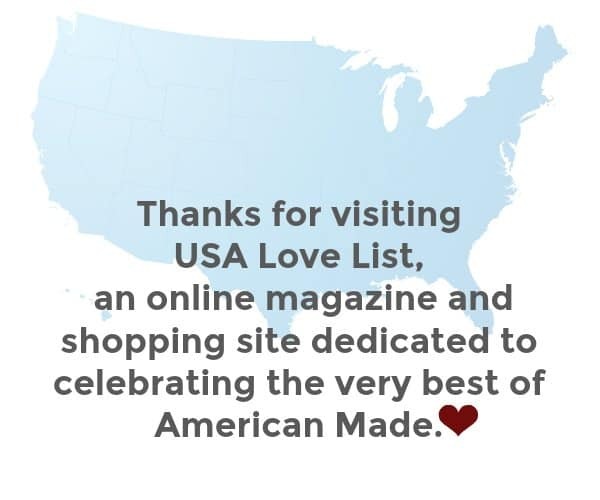 You'll be surprised that everything you need is available and made right here in the USA. 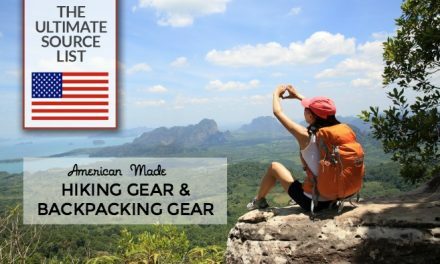 Here's our Ultimate Travel Packing List for Backpacking, Domestic, International, and RV Travel with all American made products you'll need for travel. 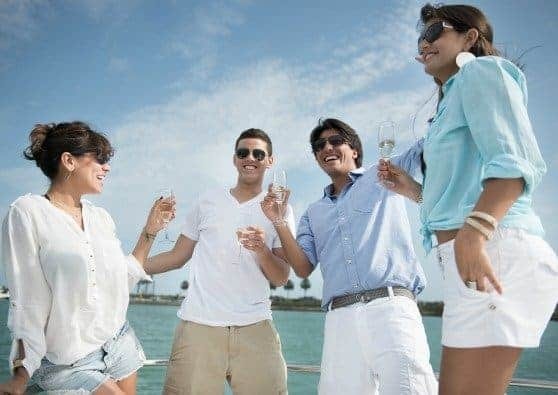 Hopefully you can use this list to serve as a reference for your future travel adventures. Did we miss anything in the list? If so, let us know in the comments section. We don't want to be stranded without something. 130 Degrees® Anti-Theft Bag is a fashionable, security bag, perfect for travel. 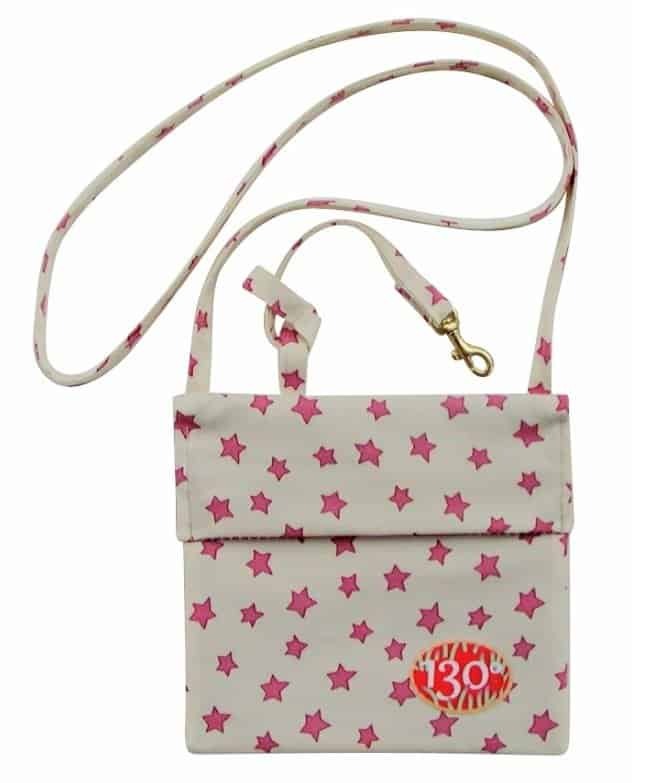 130 Degrees® produces a series of limited edition bags and several standard solid colors. These bags emphasize anti-theft capabilities with clever design features, making for extremely compact and compatible bags, perfect for travel. These bags can be rolled very small and tucked into a small nook or cranny when not in use. These American made vegan handbags are comfortable and compact and yet have surprising space capacity. 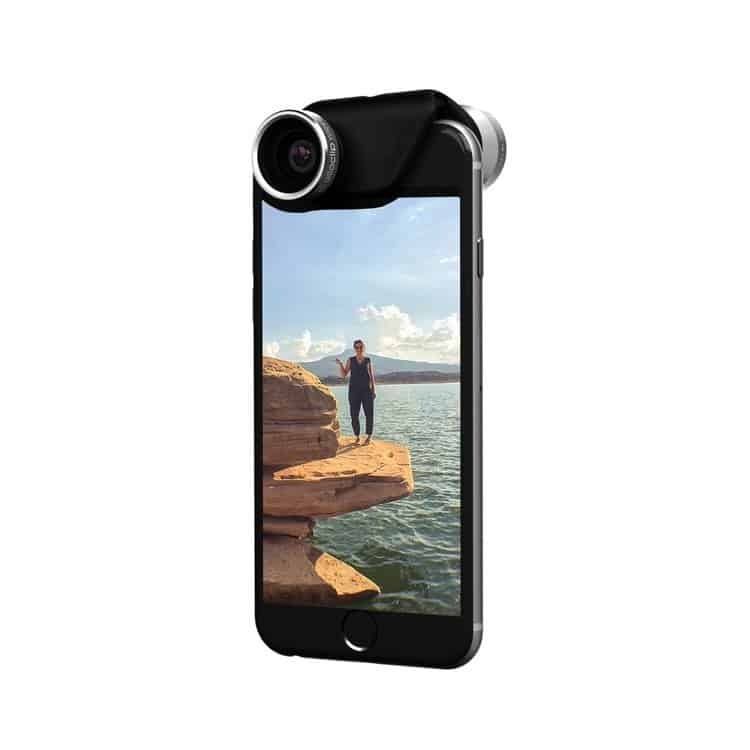 Keep your phone, passport, wallet, cash, and credit cards secure in the security pocket, plus carry a small camera, map, and travel guide in the main pocket. The concealed zippers are under sewn-down flap; easy for you to open, but so exasperating to the pickpocket. There are two sizes of 130 Degrees® anti-theft purse – Tranquility 11 x 14-inches and UnderThere 7×7-inches. 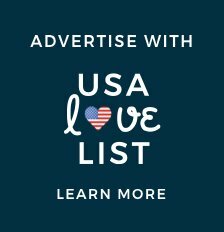 These vegan, American made handbags are made in Montana. 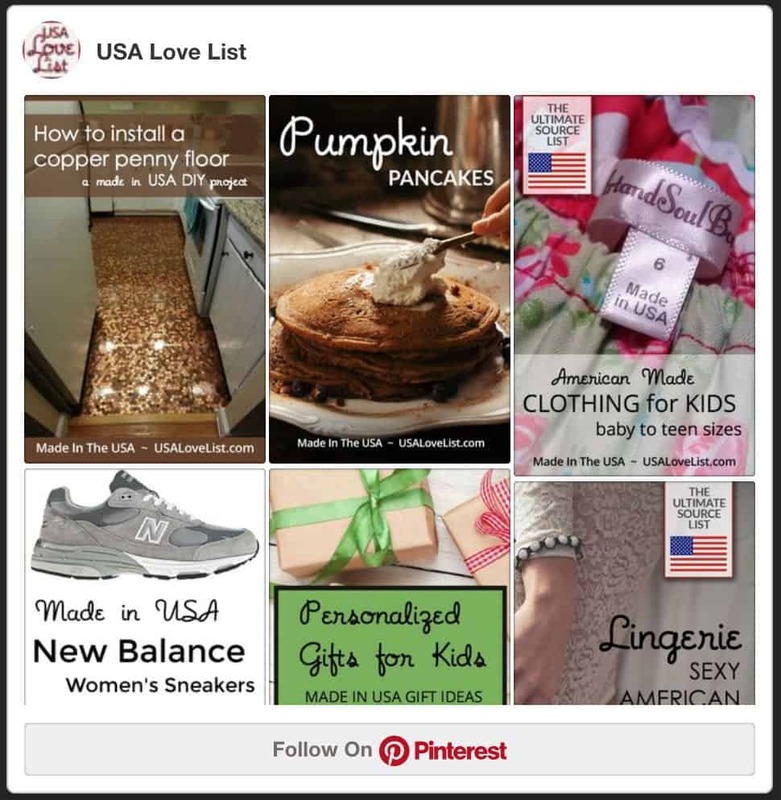 Bottoms, Dresses, and Tops – See our made in USA women's clothing and Fitness Clothing Guide. Underwear – Knock Out! moisture wicking underwear are perfect because they're breathable. 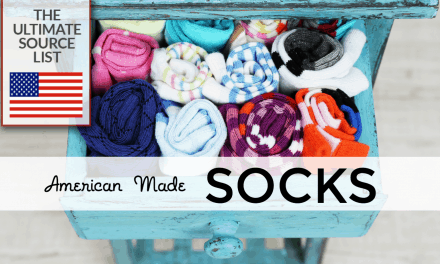 Their 100% cotton liner is patented to wick moisture. Also check our Lingerie Guide. 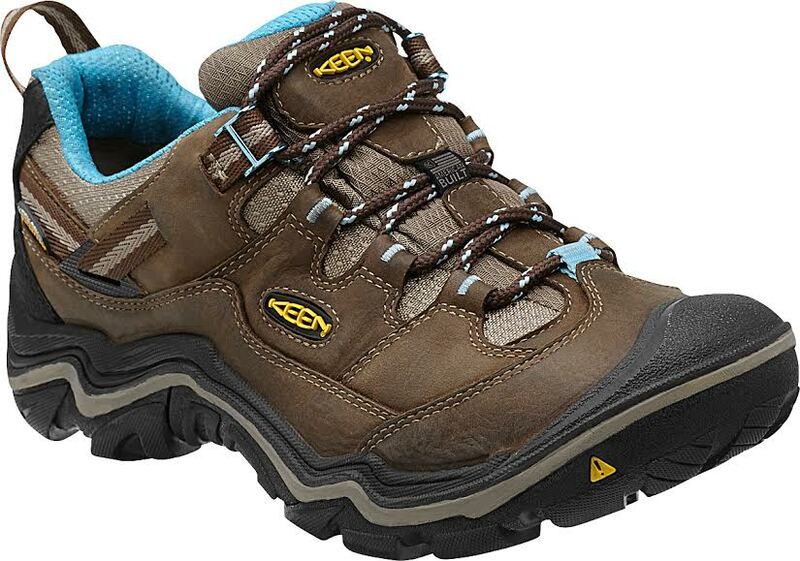 Hiking Boots – Keen American Built Durand Low WP hiking boots offer a dry, waterproof, breathable membrane to keep your feet comfortable with every step. The dual compound rubber outsole resists breakdown and compression while preserving its shock-absorbing qualities. Not all Keens are manufactured here, but the Durant line is built in Portland, Oregon. Available for in women's and men's styles. 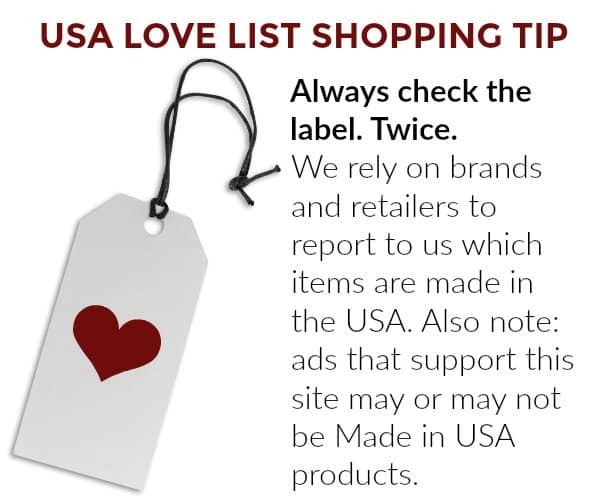 See also our guide of made in USA hiking boots, work boots and more. 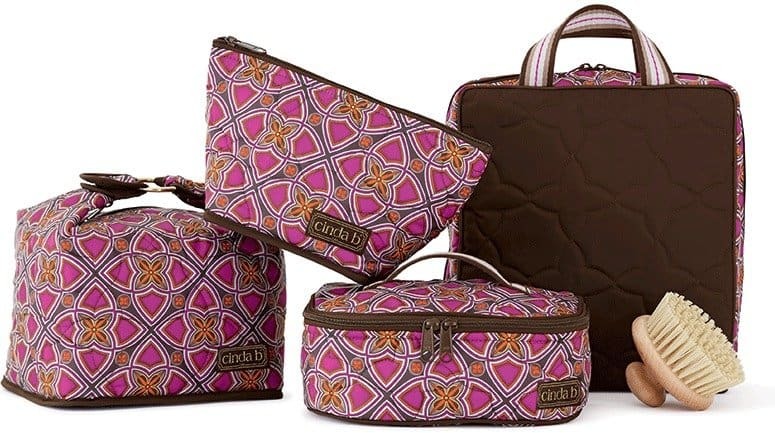 Cosmetics Bag – Cinda b offers all the matching cosmetic bags you'll need. They're perfect because they're lightweight, stain resistant, and easy to spot clean. Daypack – Tchoup Industries Flap Pack is a perfect “day pack” great for day hikes or short trips. 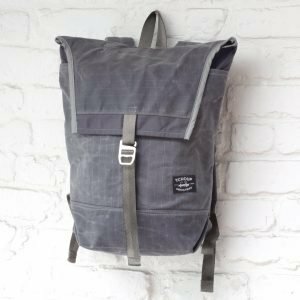 All of Tchoup Industries' products are made with waxed cotton canvas which is all natural, lightweight, and highly water resistant. 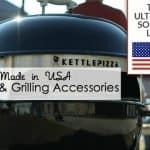 15% off Tchoup Industries with discount code USALOVE. No expiration date. 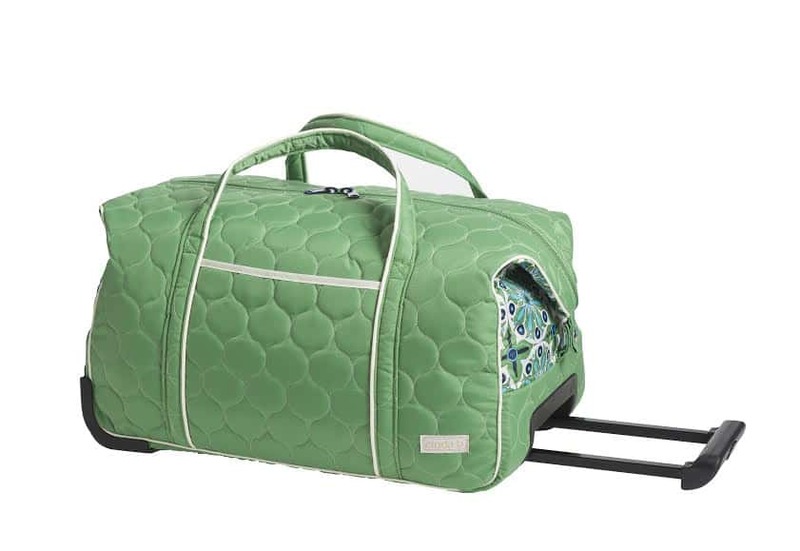 Rolling Luggage – Cindab Carry-on Rolly is a perfect size and weight for most travel. The bag has three interior slip pockets and an 8″ handle drop, making travel easy. 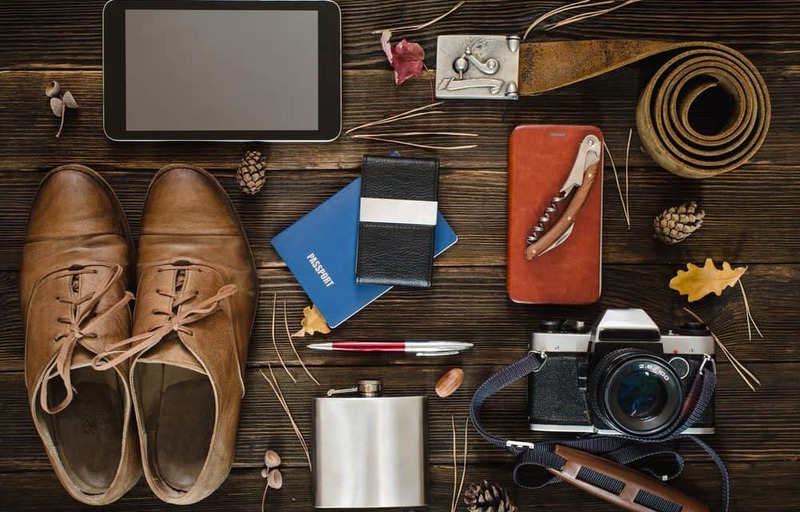 Comb – We love the Zootility Pocket Comb, that is a multi-purpose comb, bottle opener, and nine other functions. It's the size of a credit card, so it fits perfectly in your wallet. 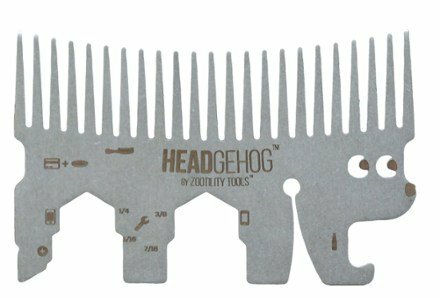 We love this little “Headgehog”! Blister Care – Band-Aid Blister Block These work very well. If you put them on correctly, they will stay on for days and eliminate any pain associated with your blisters. 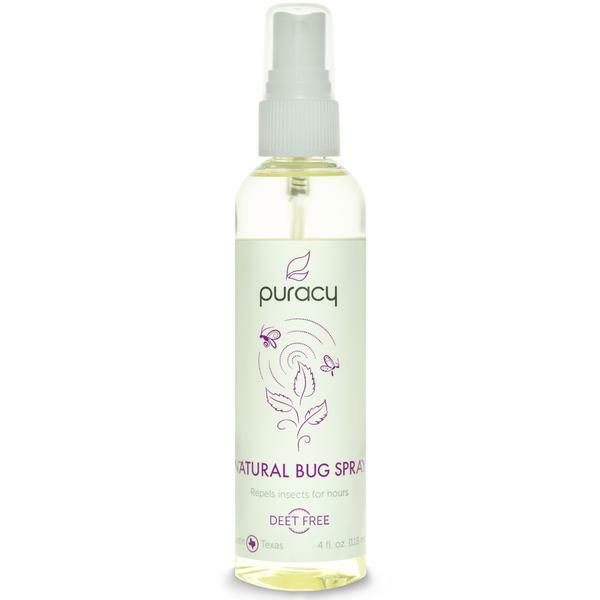 Bug Spray – Puracy Natural DEET-Free Mosquito Repellent, made with a potent blend of peppermint, geranium, lemongrass, and citronella essential oils to effectively ward off yellow fever mosquitos. Wet Wipes – Crystal Essence Natural Mineral Deodorant Towelettes are pre-moistened wipes made with lavender and white tea. 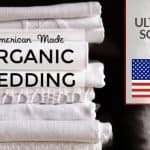 They contain no harmful chemicals, aluminum chlorohydrate, aluminum zirconium, parabens or phthalates and will make surely make your outdoor adventure even better. 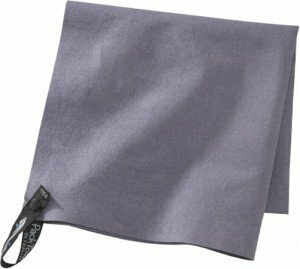 Blanket/Poncho/Shawl/Scarf – Resto Presto converts from small pouch to versatile soft water-repellent thin layer to sit on, sit under, and wear. 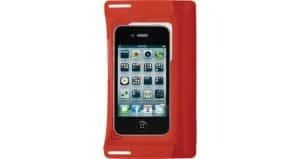 Cell Phone Protector – ECase iPhone Case has a waterproof SealLock™ zipper and rugged RF-welded seams to guarantee protection. It is made to withstand submersion in 1 meter of water for 30 minutes. 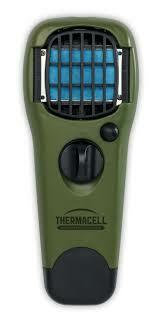 Headlamp – Even when you’re not camping, having a headlamp is great for reading in bed or during electrical outages. The Princeton Sync headlamp is great because it has multiple settings for brightness for both white and red lighting. The Princeton Tec Sync Headlamp is designed, engineered and manufactured by Princeton Tec in New Jersey, USA. 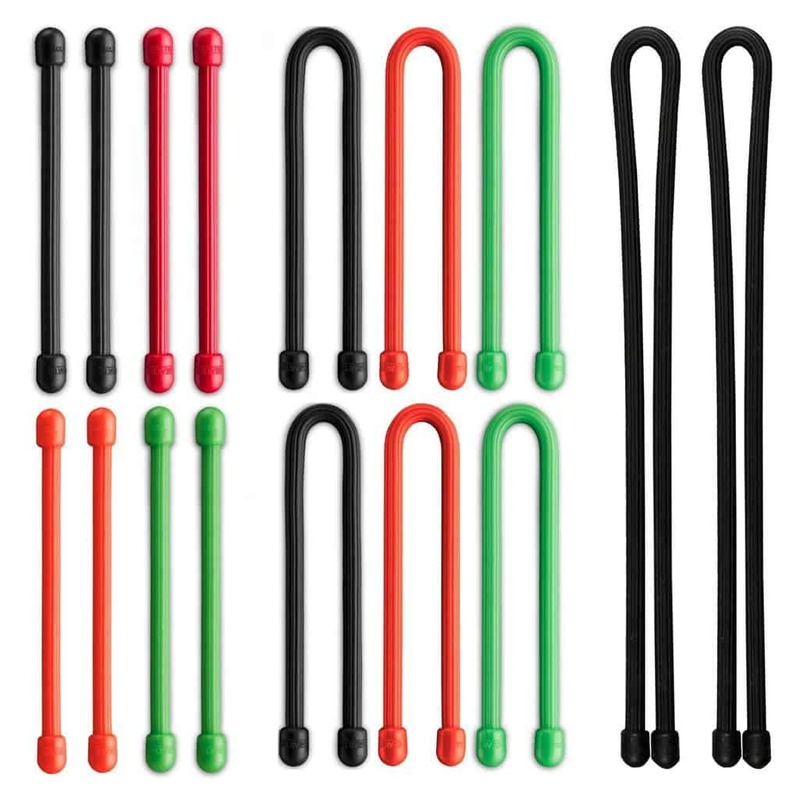 Ties – Gear Tie reusable ties are made of a flexible steel wire that maintains its shape and a waterproof rubber exterior that grips objects without scratching them. They're perfect for keeping your things in order or using to tie things, as needed. 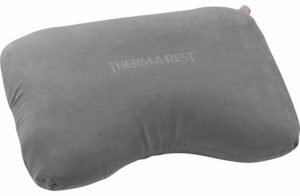 Travel Pillow – Thermarest Air Pillow is new this year (2016) and is perfect for use at night or during travel because it's not just a neck pillow, and it's not just a compression pillow. It's designed to adjust in firmness and fit around the base of your head regardless of where you're sleeping. I like to go on outdoor outings so this list is very helpful for me. I like that multi purpose tool.